Papergreat: Book cover: "Snow Drop"
Year: Not 100% certain. Some sources say it's circa 1935. 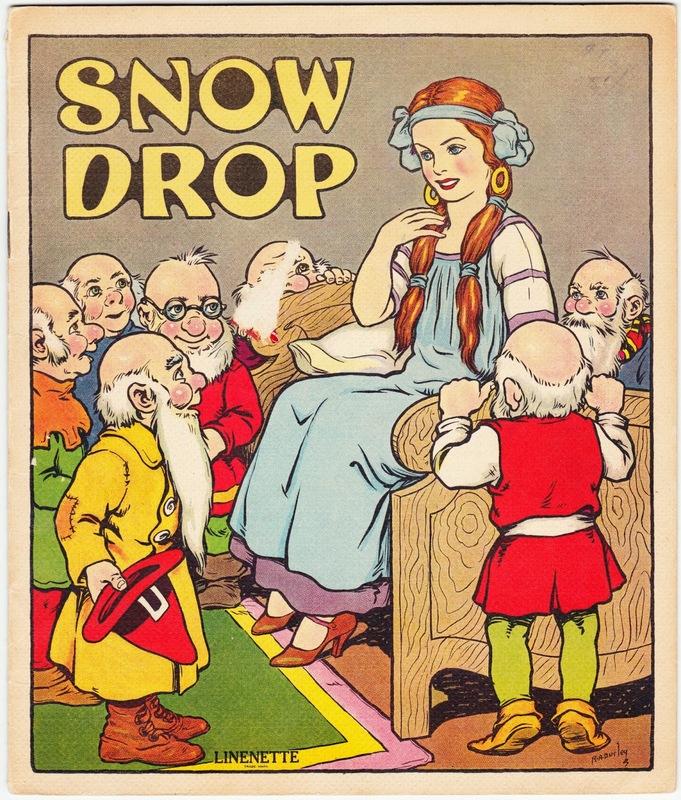 Notes: Snow Drop is a variation of Snow White that adheres a bit more closely to the version that was first titled Sneewittchen and presented by the Brothers Grimm. The Encyclopedia of Fantasy has a good summary of the Grimm version of the tale and its possible earlier inspirations. ... This is a 12-page staplebound booklet with 11 illustrations, six of which are in full color. ... The front cover sports a Linenette trademark, which refers to a special style of textured paper that holds brighter colors (not unlike Curt Teich's linen postcards). ... 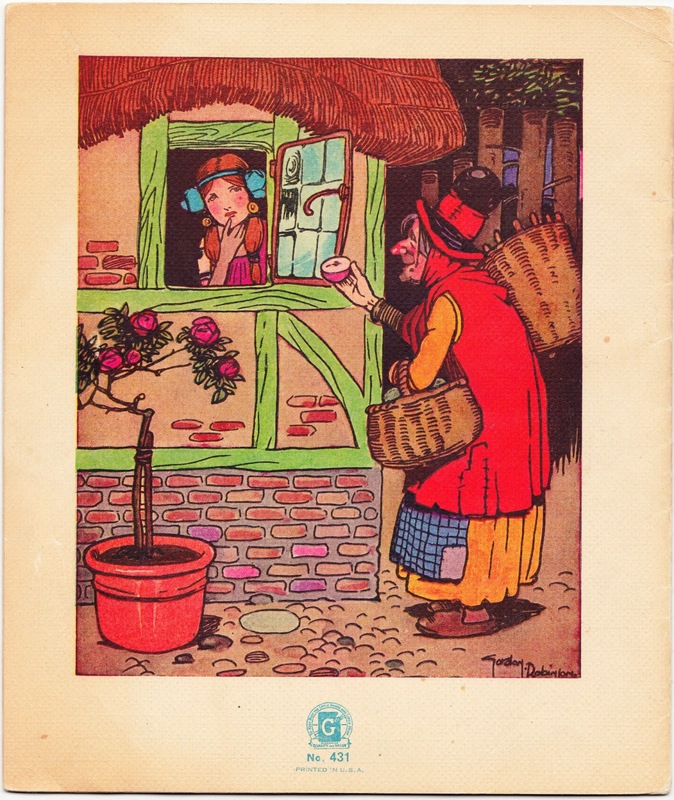 Although the cover appears to present Snow Drop as two words, the first page contains the title "Little Snowdrop" and the character is referred to as Snowdrop throughout the tale. ... This is listed as publication No. 431 on the back cover. ... An alternate version of the cover, with Snow-Drop hypenated and a Gordon Robinson illustration, can be seen here on Pinterest. Story time: "The Goblins" from "Legends of the Rhine"